Universal Audio Apollo 8 with Duo Processing. 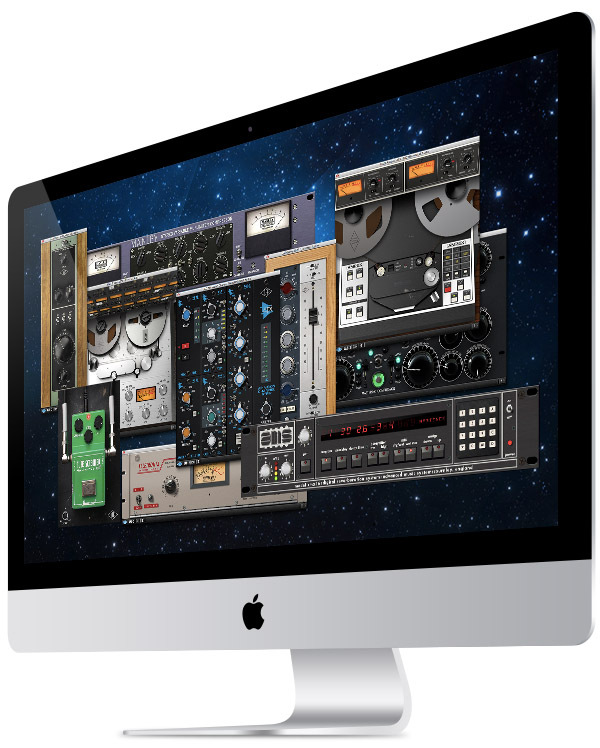 Next-Generation Audio Conversion with Classic Analog Sound with Thunderbolt 2 for Macintosh. Universal Audio Apollo 8 Duo is an elegant update to one of the world’s most popular professional audio interfaces — delivering enhanced sound with the tone, feel, and flow of analog recording. This 18 x 24 Thunderbolt 2 interface offers genuine UA analog design, and next-generation A/D and D/A conversion, putting class-leading audio quality in a sleek new package. Built on UA's 50 year legacy of analog design excellence, Apollo 8 also features powerful UAD-2 DUO processing and four onboard Unison™ mic preamps, delivering sonic performance that surpasses anything in its class. 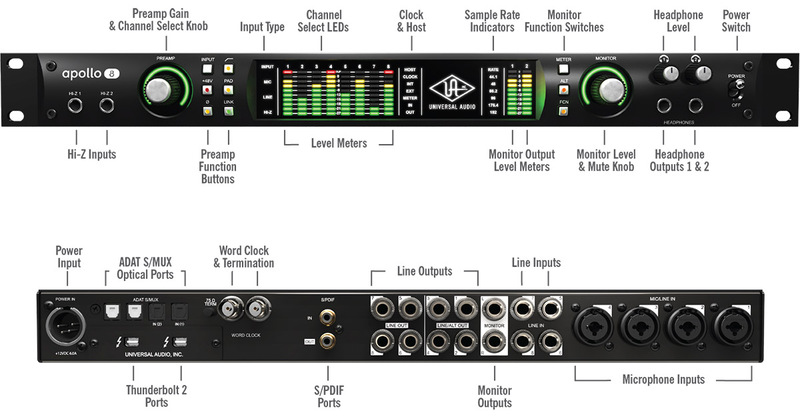 The key to its analog sound is onboard UAD-2 DUO DSP Processing, which powers the UAD plug-ins while reducing the strain on your host computer.